Mami gave the girls a simple instruction on how to bake a cake and which proper ingredients to use. 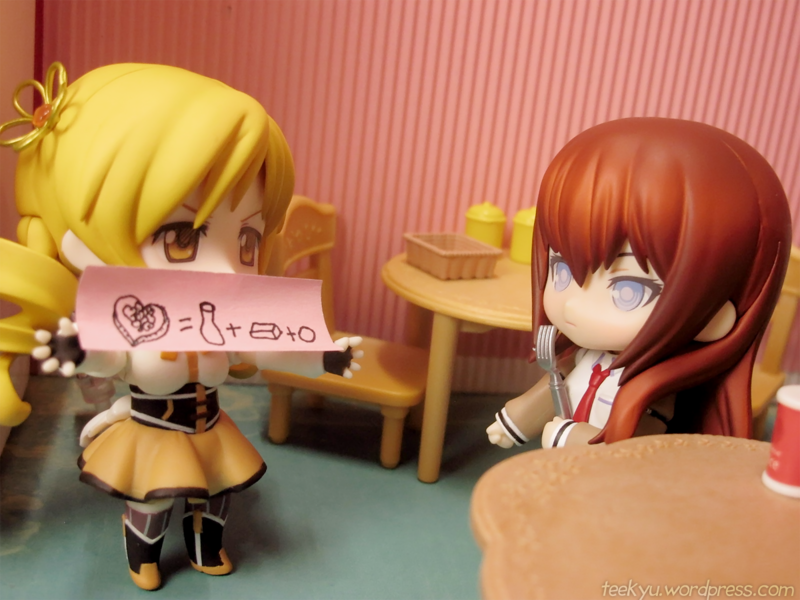 Kurisu didn’t want to agree at first but Mami was being stern about it. 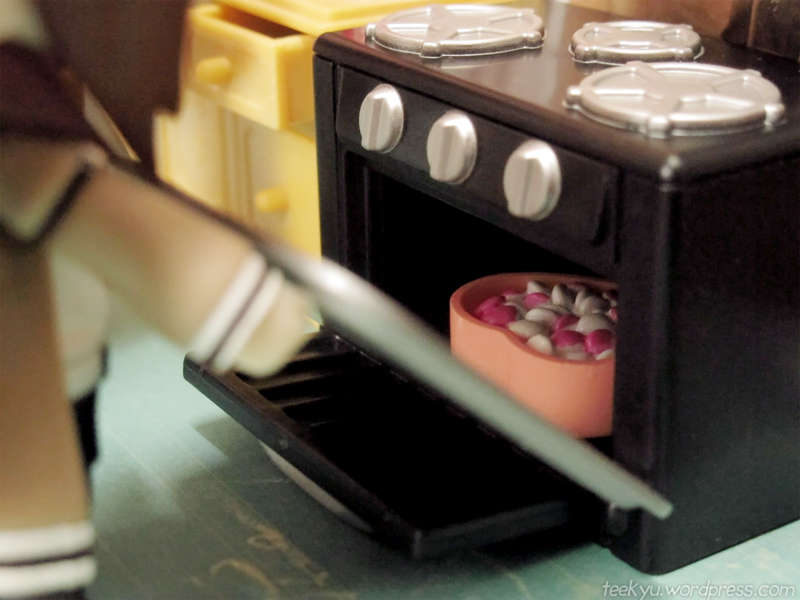 “I’ll put it in the oven.” Kurisu offers and picks up a tray. She slides the cake mix in. It looks pretty good. “Ta-dah! Cake done! 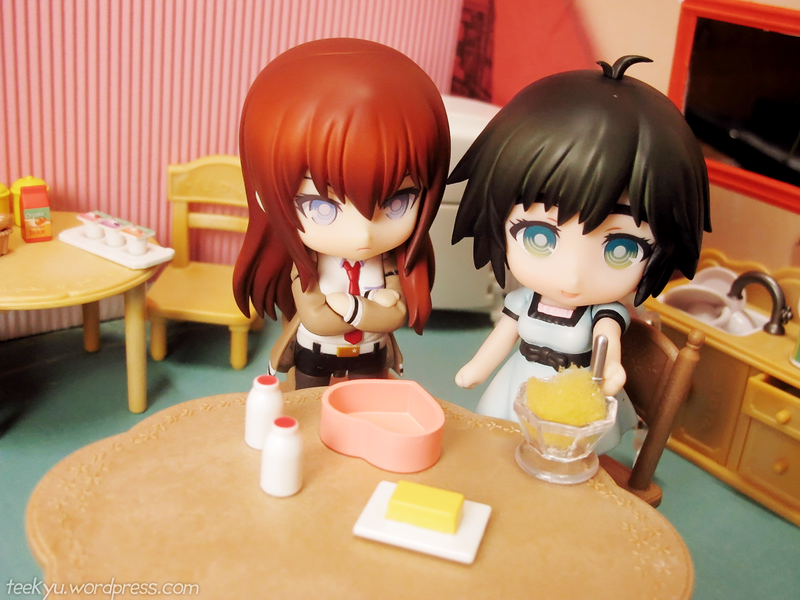 Frosting done!” Mayushii squeezes the tube of frosting. 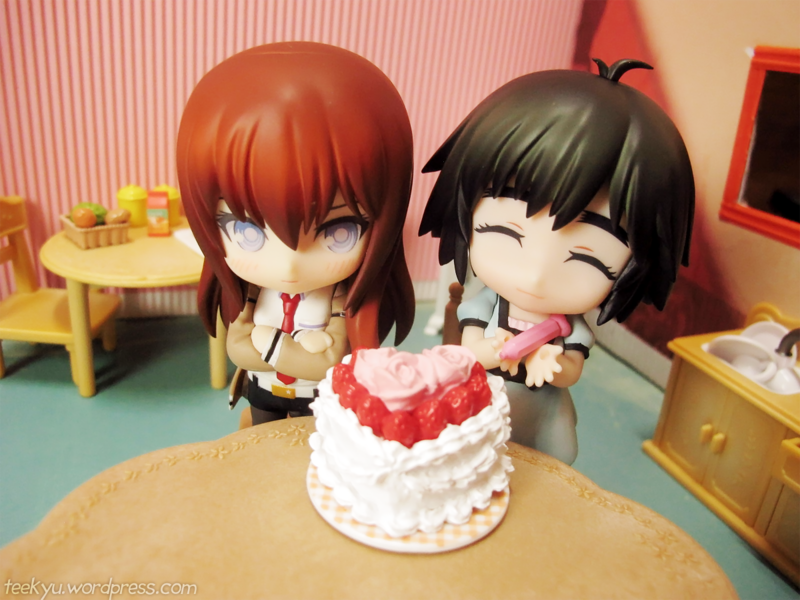 It looks too lovey dovey Kurisu realizes. “Yay finished!” Mayushii beams. Kurisu turns to look away. 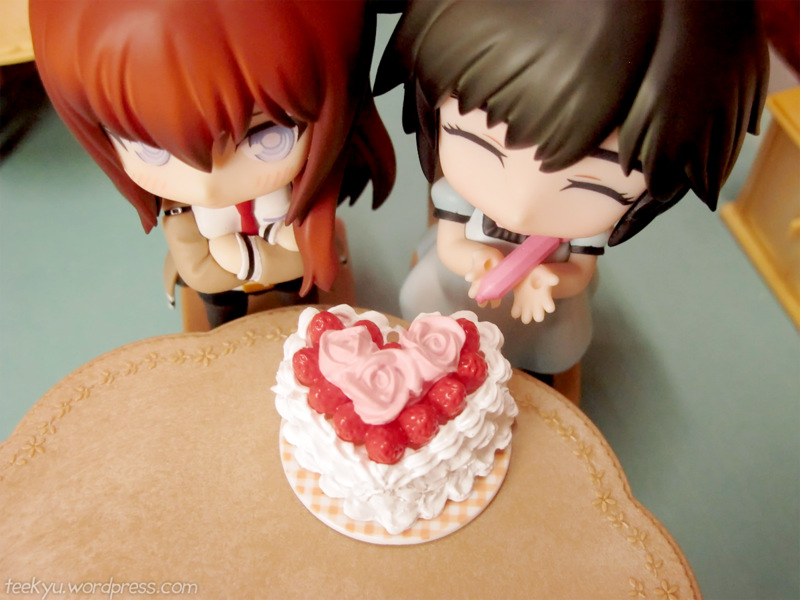 “It’s not that I want to bake this cake for Okabe, I’m just here to help!” she says, a blush creeping up her cheek. It really doesn’t matter what Kurisu says though. When she gives it to Okabe, her red face will show it all.